Jackie Aucoin, MA, Psychology Assistant, is a community mental health therapist with Child Focus working in the Clermont County Juvenile Detention Center. She earned her Bachelor's Degree at Ohio University in 2006 and her Master's Degree in Forensic Psychology at the Chicago School of Professional Psychology in 2008. She began working at Child Focus as a home-based therapist in 2008. She also has experience in outpatient individual/family therapy, group therapy, and is trained in Trauma Focused Cognitive Behavioral Therapy. She began working at the Juvenile Detention Center in 2010, and in 2014, became the full-time therapist serving this location; she offers individual and group services, as well as crisis services when needed. Jackie has also been a member of the Clermont County Crisis Team since 2008 and a member of Clermont County Crisis Hotline since 2013. 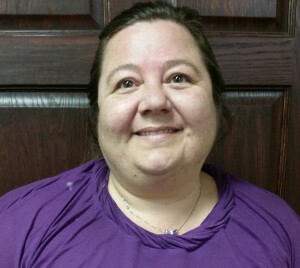 Tina Back, M.Ed., LPC, is a Licensed Professional Counselor with a Master of Education Degree, Majoring in Counseling and Human Development from Lindsey Wilson College. She also earned an Associate and a Bachelor degree. Tina began a counseling internship placement with Child Focus in May of 2016 and became a full-time therapist in January 2017 with Child Focus, Inc. Tina sees clients in the Mt. Orab office in Brown County and also provides Home-based Therapy. Shelly Baxter, MA, L.P.C.C.-S, completed her Master of Art in Agency and Community Counseling in 2004 from Xavier University. Mrs. Baxter is an Independently licensed Supervising Professional Clinical Counselor. Mrs. Baxter has been employed with Child Focus Inc. since March of 1995. She is the Assistant Director of Community Mental Health Outreach. As the Assistant Director she clinically and administratively supervises both Qualified Mental Health Specialist as well as therapist. She also oversees the services that are provided at the facility in Brown County and Hamilton County as well as services provided to several school districts in Hamilton County. Mrs. Baxter also oversees the integrated health services occurring with Healthsource Georgetown, Healthsource Loveland and All About Kids Pediatrics in Mt Orab, Ohio. In addition to providing supervision and administrative oversight, she maintains a client case load herself. Mrs. Baxter has worked on the Clermont County Crisis Hotline since its inception in 2003. Mrs. Baxter has been a member of the Clermont County Crisis Response Team for over 15 years and is creating and leading a Crisis Response team in Brown County. Mrs. Baxter’s areas of competences include Child and Adolescent counseling, family counseling, mental health counseling, Crisis Counseling, Consultation, Supervision, Administration, as well as Independently Diagnoses and treatment of Mental and Emotional Disorders. Marie Bazeley, MA, LPC, earned her Bachelor’s degree in Psychology in 2011 from University of Kentucky and her Master’s Degree in School Counseling and Community Mental Health Counseling in 2014 from Xavier University. Marie began working at Child Focus in 2016, and is currently the therapist at the Early Childhood Day Treatment program. Marie is trained in Trauma Focused Cognitive Behavioral Therapy and enjoys using art, yoga, and play in her work with the early childhood population. Aleesha Covert-Blank BA, QMHS, is a Community-Based Mental Health Provider for Child Focus Inc. Ms. Blank received her Bachelor of Arts from Shawnee State University in 2016. 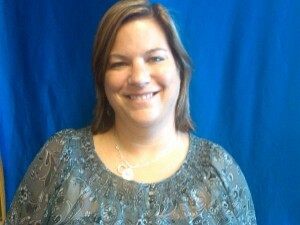 Ms. Blank has over 3 years of experience working with clients with mental illness and substance abuse. Currently, Mrs. Blank is the Community-Based Qualified Mental Health Specialist for Bethel High School and Batavia High School. Prior to working with Child Focus, Ms. Blank worked with adults diagnosed with co-occurring mental illness and substance abuse as a community case manager and as a men’s AOD Counselor. As a Community-Based Case Manager for Child Focus Ms. Blank works with students one-on-one, or in a group, to reduce barriers to learning and assist them in being successful in school. Ms. Blank provides prevention and case management services to assist her clients with increasing social skills/self-esteem, learning anger management techniques, developing coping skills for depression, managing anxiety, working through emotions during difficult situations, decision making, transition to independent living, and conflict resolution. Aside from her job duties with Child Focus, Ms. Blank enjoys spending quality time on her family farm and being outdoors. Akemi Brewer, Psy.D., completed her graduate training in clinical psychology in the field of health psychology at Spalding University, Louisville, KY. Her internship training was at University of Louisville, School of Medicine: Department of Psychiatry & Behavioral Sciences, The Bingham Clinic, Louisville, KY. The training included provision of individual/family therapy and group therapy to children, adolescents, and their families. Rotation included inpatient pediatric consultation-liaison services, psychiatric day treatment services, inpatient child and adolescent psychiatry and outpatient clinic services, and emergency room assessment as well as psychological testing. Dr. Brewerhas been working at Child Focus, Inc. since 2010 and completed her fellowship training at Child Focus, Inc. She obtained licensure as a clinical psychologist in November 2014. She provides individual/family therapy, psychological testing, and crisis intervention. She has a lot of experiences with different populations (from children to adults) and settings (e.g., elementary school, private practice, adult inpatient hospital, primary care setting, community mental health center). While Dr. Brewer uses integrated treatments to fit each client, her theoretical orientation represents the importance of attachment, meaning-based communication process, and cognitive-behavioral therapy. Jennifer Brinkdopke, MA, LPCC-S, completed her graduate training in Community Counseling at the University of Cincinnati in 2000. Her internship training was at Child Focus, Inc. This training included diagnostic assessment of mental and emotional disorders, child and adolescent counseling, individual counseling, family counseling, and group counseling. 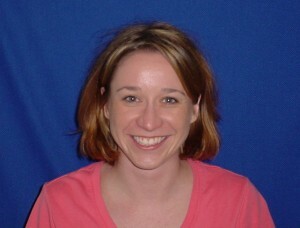 Ms. Brinkdopke has been in practice in the Outpatient Division of Child Focus, Inc. since 2000. Ms. Brinkdopke serves at the Director of Compliance and Performance Improvement which includes the shared role as a Privacy Officer for the agency, a leadership role in internal Quality Improvement efforts, and responsibility in securing compliance with CARF and OMHAS standards. This role also includes that of Triage Coordinator, through which Ms. Brinkdopke reviews registrations and transfers of Child Focus, Inc. clients to ensure they are properly assigned to providers who are trained to meet each client's individual needs, with a focus on the application of Evidenced Based Treatment Strategies. 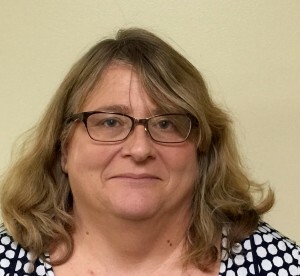 As a Clinical Supervisor, Ms. Brinkdopke provides weekly supervision to several staff who are working on their independent licensure or are in counseling graduate programs. In her role as a Community Mental Health Therapist, Ms. Brinkdopke provides diagnostic assessment of mental and emotional disorders, child and adolescent counseling, individual counseling, family counseling, and group counseling for children on the Autism Spectrum. Ms. Brinkdopke has received special training in the areas of Trauma Focused Cognitive Behavioral Therapy (TF-CBT) as well as having attended several trainings on working with children on the Autism Spectrum. Angie Brown, BA, QMHS, is a Qualified Mental Health Specialist providing Community Psychiatric Support Treatment (CPST) services at Amelia and Holly Hill Elementary Schools. She provides behavioral support to students and their families in and out of school through case management, crisis intervention, prevention, and consultation services. Angie earned her Bachelor of Arts in Psychology from the University of Cincinnati in 2011. She also obtained her Associate's of Science in Early Childhood Education in 2007. Angie began working for Child Focus, Inc in 2010 as part of the Early Childhood division. She worked in the Early Head Start program, providing home-based services. Angie transferred to Behavioral Health in 2014. Renae Butcher, M.Ed, LSW, is a Licensed Social Worker in the State of Ohio. She is currently working as a Mobile Crisis Responder and Jail Liaison on the Crisis Services Team at Child Focus, Inc. Renae earned her Master’s Degree in Social Agency Counseling from the University of Dayton in 1993. She earned additional certification in the Treatment of Juvenile Sexual Offenders from the University of Louisville. Renae has an extensive history providing assessment and mental health services to clients in both community and residential setting. Renae joined the Child Focus Inc. team in June 2015. She received a 2018 NAMI Excellence in Mental Health Care Award for Criminal Justice/Mental Health.